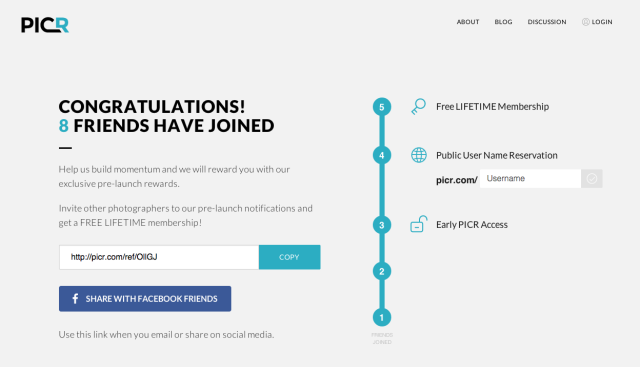 A little over four months ago, when we decided to make a big pivot from Finic to PICR, we didn’t fully understand what was in store for us. At that time, I could barely imagine how our product would work or visualize what it would look like. All we had was the seed of idea: we’d make a platform that would unite photographers with clients and help those clients save time, get better service, and spend less money to do so. We decided to first run a pre-launch to build up interest. Given that our idea had such little form, we ended up creating a landing page with minimal text. Some critics accused us of being vague about what we were offering. In reality, that was the best we could do until our idea solidified a bit more. However, we weren’t going to be quite so passive and just wait for users to arrive at our site. We planned to attract them. Since we planned to build a two-sided platform that served both photographers and photography clients, we had to choose which side to focus on first. We chose the photographer side, and set a goal of collecting 100,000 subscriptions in the United States. 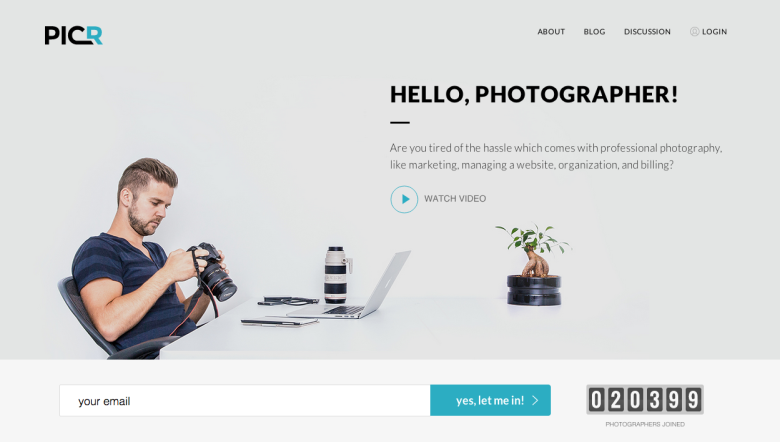 In just a few days, we built out a simple site from the initial landing page, and added an automated invitation for photographers to become site users. To meet our goal, our invitation had to go viral through referral invites. Our design needed to trigger a viral response. Our email invitation design was compelling enough that the photographer would open it. Once the photographer opened the invitation, we gained more traction by including a letter from the founder. 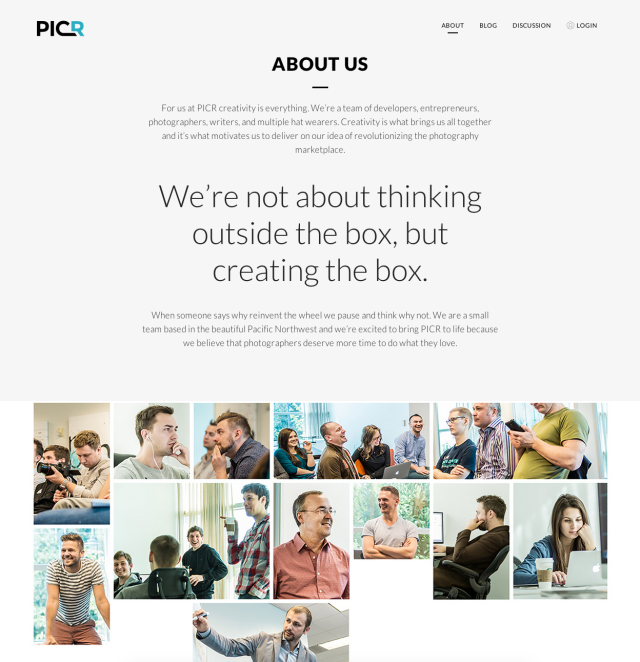 We built our About page and the rest of the web site to provide more information about PICR. We emailed the photographer a series of additional letters from the founder. We added a referral link in each communication and a link to register via Facebook and other social media sites. 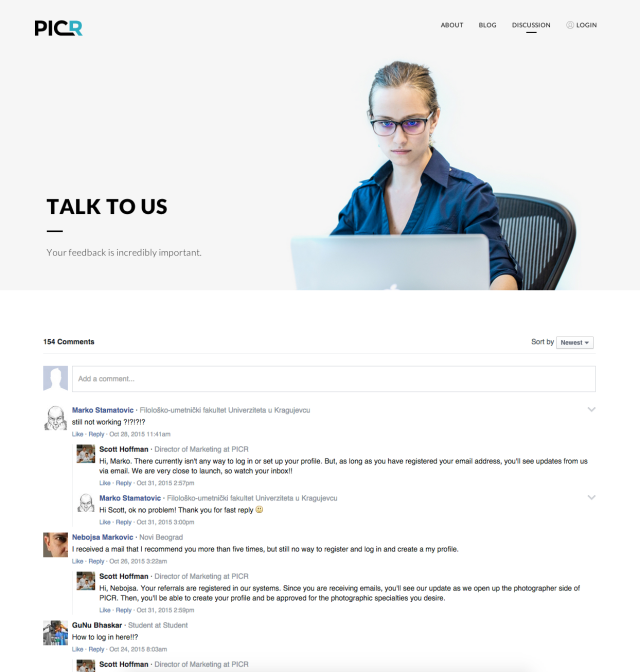 We created a discussion page where photographers could post questions and get answers about PICR. This boosted traffic and delivered greater transparency about our product and product plans. At the peak of this campaign, I personally received more than 10 emails a day from photographers. We also received numerous comments and messages on social sites. We contacted and communicated with every photographer who registered or communicated with us. This communication provided a much deeper understanding of how photographers work and what they needed from our site. This was invaluable information. We didn’t meet our goal of attracting 100,000 photographers, and our attempt to go viral did not work as planned. We couldn’t reach everyone we wanted to. Only after the launch did we discover that professional photographers in the United States number roughly 150,000. In hindsight, our original goal may have been somewhat impractical. Regardless of missing our goal, I still feel great about our results. We currently have 20,138 registered users. Of those users, 14,325 came from referral and 2,585 came from Facebook ads. 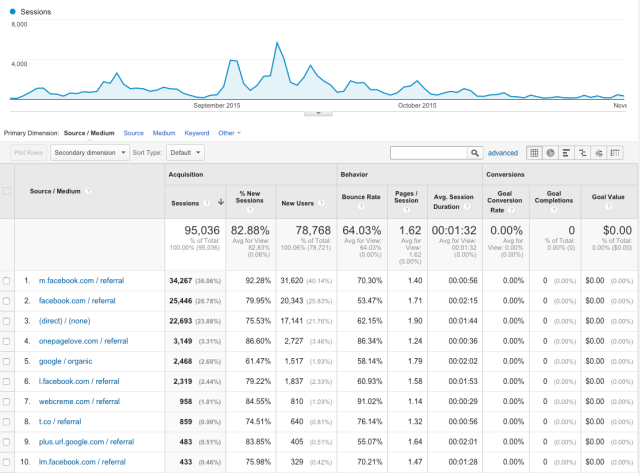 We spent a whopping $6,390 on our campaign, and on average, just $2.50 per Facebook registration. Of those referral links, more than 6,000 were unique. In other words, these photographers referred to our site only once, not multiple times from different referrers. Our most prolific referrer attracted 828 people, 298 of whom ended up registering. The largest traffic peaks occurred after fairly well known photographers shared the link to PICR with larger groups on Facebook. We discovered that 14,000 of our registers users—approximately 70 percent—are photographers from the U.S. That equates to approximately 10 percent of the overall number of professional photographers in this country. Given how little time, effort and money we’ve spent so far to promote PICR, I’d say those are good results. 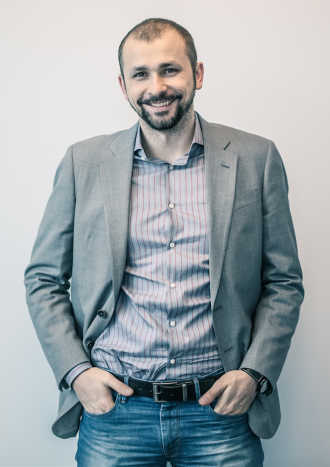 This pre-launch experience built our base of registered users, but it also helped us better understand the problem we are trying to solve and what our users need from the product. That helped us refine our product design and the feature set we will include in the first version of our minimum viable product (MVP). In addition, now that we have addressed getting photographers onboard upon our official launch, we can devote our focus to building demand for the services those photographers provide.